Following her appearance in next year’s Batman v Superman: Dawn of Justice, Gal Gadot’s Wonder Woman will be getting her own movie in 2017. While we know Chris Pine will be joining Gadot as love interest Steve Trevor, the only other information we have in terms of cast is the rumoured inclusion of Sean Bean and Eva Green in villain roles. Now, The Wrap has news of a major piece of casting, with Nicole Kidman in talks with Warner Bros. to play a major role in the Patty Jenkins directed superhero movie. The role hasn’t been revealed, but the outlet claims she will be playing a “high-ranking Amazonian warrior” which leads to speculation that the role is that of Queen Hippolyta, Wonder Woman’s mother and leader of the Amazons. If the oscar winning actress does sign on the dotted line, it will be quite the get for the movie, and follows the trend of Warner Bros. picking big name stars in mentor roles for their younger heroes. It goes all the way back to Marlon Brando playing Jor-El in the first Superman movie to Michael Caine as Alfred to Christian Bale’s Bruce Wayne, and has already been seen in the fledgling DDCU with Russell Crowe as the new Jor-El and Jeremy Irons taking on Alfred. 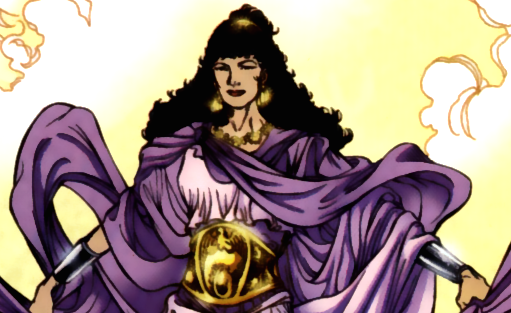 It will also be interesting to see if the movie goes with the characters original origin story, that of a clay figure brought to life by the power of the Olympian Gods, or the new version which sees her as the natural born daughter of Hippolyta and Zeus, making Wonder Woman a God herself. The latter does seem like it would fit the grittier universe Warner Bros wants to bring to the big screen, and would give Hippolyte a bigger role if it is indeed the character offered to Kidman. Wonder Woman is set for release June 23rd 2017.